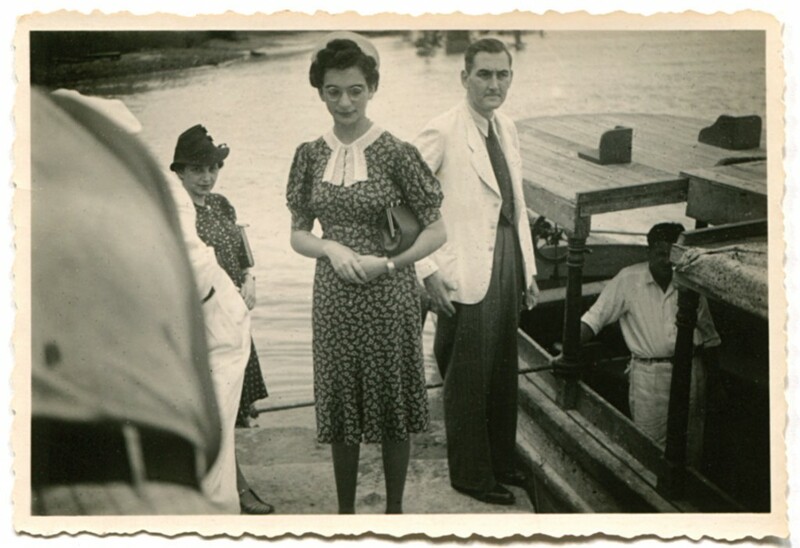 Persecuted by the Nazis because of her Jewish heritage, she left Berlin with her parents, fleeing to Ecuador in 1939. In 1940 she was awarded a scholarship to the Mannes School of Music and travelled unaccompanied to New York as a seventeen year old. In the years that followed, she studied composition, becoming one of the USA’s most renowned women composers. In 2006, she returned to her native city, Berlin. 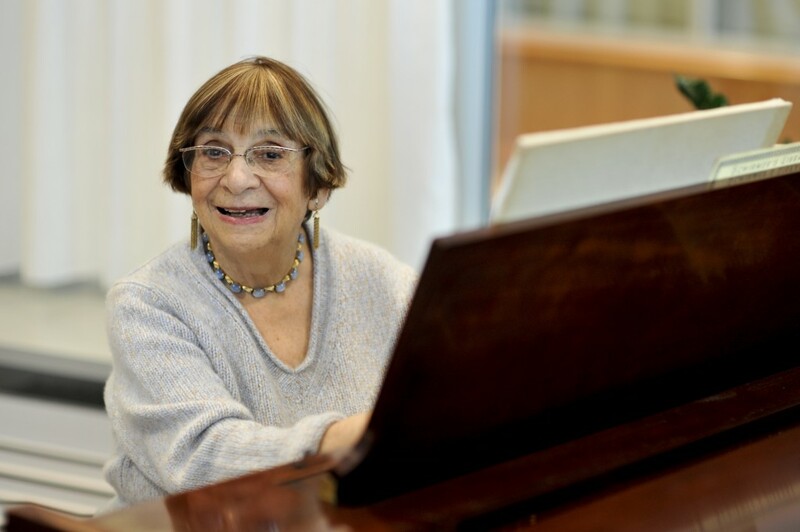 Aged 83, she breathed new life into her career through numerous concerts across Europe, CD, radio and television productions; her biography, Time in Flux – The Composer Ursula Mamlok, was published and a documentary film, Ursula Mamlok Movements, was released. Ursula Mamlok, originally Ursula Meyer (Berlin, February 1, 1923 – Berlin, May 4, 2016) lost her birth father in October 1924 before age two. In 1929, her mother Thea, née Goldberg, remarried and Ursula took the family name of her new stepfather, Hans Lewy. She initially attended a primary school on the Pestalozzistraße in the Charlottenburg district of Berlin, and then became a pupil at the Fürstin-Bismarck-Lyzeum, a secondary school for girls (today the Sophie-Charlotte-Oberschule). She began piano lessons at a very young age, and from age 12 piano lessons and composition from conductor, pianist, composer and musicologist Gustav Ernest (Kwidzyn [formerly Marienwerder], July 5, 1858 – Amsterdam, November 28, 1941). She considered this period of study to be one of the high points of her life. 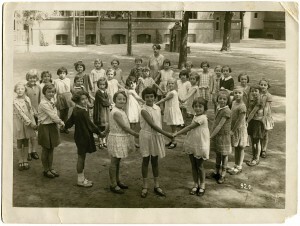 In April 1938 the Nazis barred all Jewish children from the Fürstin-Bismarck-Lyzeum. Ursula Lewy now had to attend a trade school instead, where lessons largely focused on ironing and bed-making. After only a few weeks, she was also excluded from attending classes here too – in this context a relief for the budding composer. 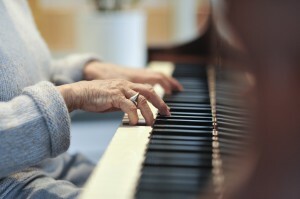 She could now fully dedicate herself to her music and concentrate on piano playing and composition. 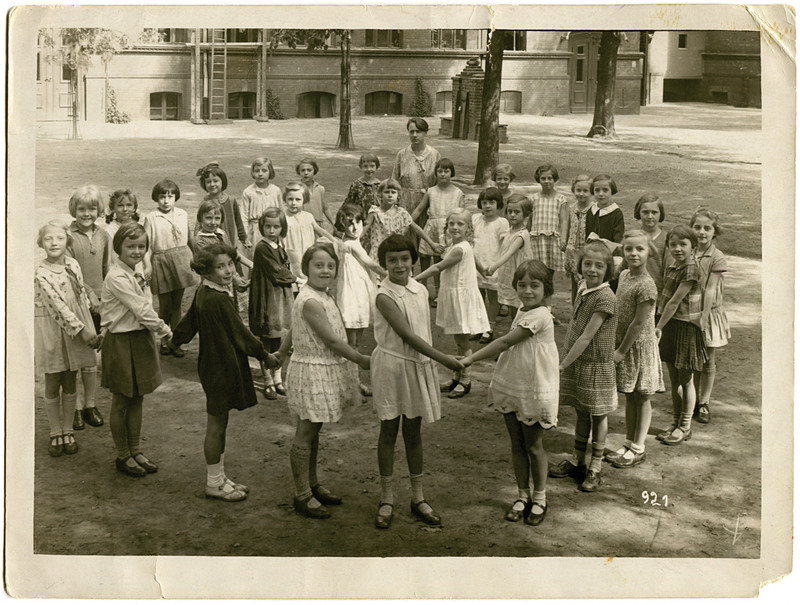 In the wake of Kristallnacht, Ursula Lewy’s parents decided to emigrate – but time was running out. Fortunately, a relative based in Ecuador made contact. Thanks to his sponsorship, the family was able to leave Berlin in 1939 and to flee to Guayaquil, Ecuador. But sponsorship was not forthcoming for the grandparents. Unable to secure the necessary Affidavit of Support, they did not survive the Holocaust. Grandfather Emanuel Goldberg died in the early 1940s for want of insulin, as the Nazis deprived Jews of access to medical supplies. According to the ‘Holocaust Survivors and Victims Database’, all three grandmothers most likely died of debilitation: Fanny Meyer, mother of Ursula’s birth father, died in Theresienstadt on July 14, 1942, Erika Goldberg died in Treblinka in 1942 and Rosa Lewy on February 20, 1943 in Theresienstadt. In remembrance, Bettina Brand commissioned the placement of Stolpersteine – pavement commemorative plaques – outside No. 73 Sebastianstraße, Berlin, opposite the last address where her grandmothers Rosa Lewy and Erika Goldberg had lived. After a thirty-day sea voyage the Lewys arrived in Guayaquil – no paradise for the budding composer. She took up her studies again as quickly as possible attending the Conservatory there led by Angelo Negri. However, she considered the training to be inadequate. She remained in contact for as long as she could with her teacher Gustav Ernest, via the extremely slow postal system. He had immigrated to the Netherlands in 1939 and died in Amsterdam on November 28, 1941. In the summer of 1940 Ursula Lewy won a scholarship to attend the Mannes School of Music in New York. Fortunately, her ship’s passage and the necessary Affidavit of Support to enter the United States had also been provided. These papers were only valid for one person however, so, aged just seventeen, she was forced to travel alone – without parents, without the language and without money. Hans and Thea Lewy did not join her until March 1941. 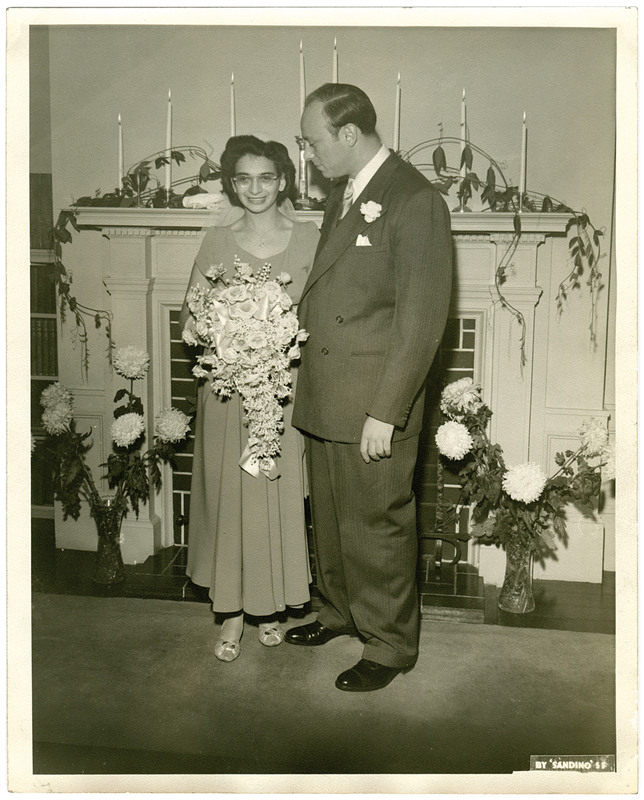 Her composition teacher at the Mannes School of Music was the conductor George Szell. He was extremely favorably disposed towards his student; however his teaching style was extremely conservative. 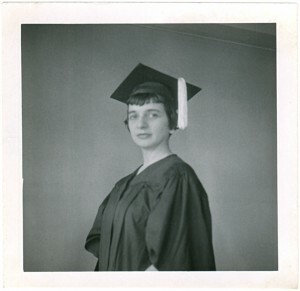 Ursula Lewy wanted to break free of the mold of classical tradition and applied in the summer of 1944 for a three-month scholarship at Black Mountain College in North Carolina. She was accepted and it was there that she first became acquainted with the works of Arnold Schoenberg and the Second Viennese School. She had her first encounter with dodecaphony – Schoenberg’s twelve- tone technique – when she attended a masterclass with Ernst Krenek and subsequently studied his work, in particular his study on twelve-tone counterpoint, Zwölfton – Kontrapunkt – Studien. This was also where she met Eduard Steuermann, with whom she studied piano for two years beginning the following autumn. In San Francisco in August 1947 Ursula Lewy met her future husband, Dwight (Dieter) Mamlok. Originally from Hamburg, he had immigrated to the United States via Sweden. He was a businessman and the author of numerous poems and novellas. They married just three months later. They lived in San Francisco until March, 1949 when, primarily at Ursula Mamlok’s request, they moved to New York. Aged 26, she had no school qualifications, no university degree and consequently no job prospects. And she did not feel fully qualified to work as a composer. Once again her skills as a gifted musician enabled her to secure grant funding, this time at the Manhattan School of Music. As she felt embarrassed about being in the classroom alongside those much younger than herself, she altered her date of birth, raising the last digit, a figure three, to an eight. The 1940s to 1960s marked her journey towards developing her own style and were led by her quest to find a compatible, highly stimulating composition teacher. 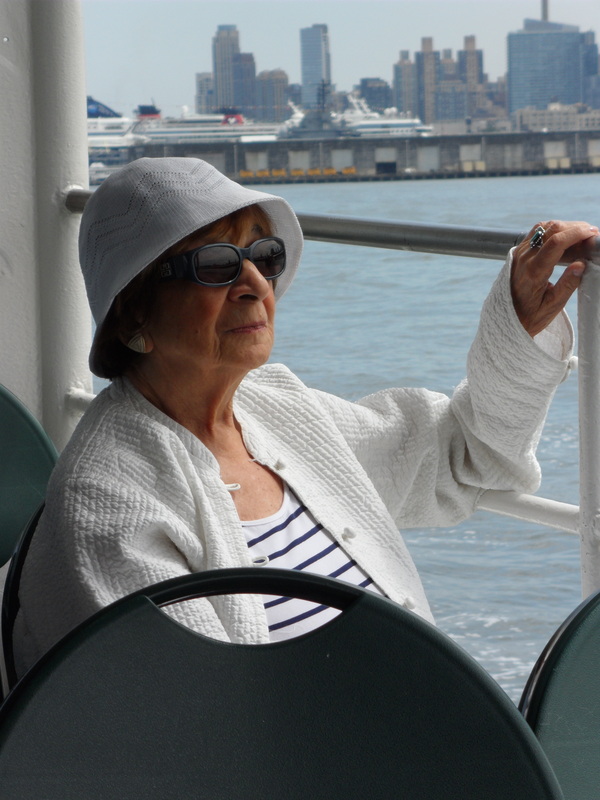 Ursula Mamlok embarked on her odyssey. She had already gotten to know the American composer Roger Sessions in 1944 at Black Mountain College and, seeing in him the perfect teacher, she took up private lessons. However, shortly thereafter in 1945 he received an offer to teach at UC Berkeley, so she was unable to continue her studies under his tutelage. She remained without a teacher for some time until someone recommended she approach Jerzy Fitelberg. During those few months of study with Fitelberg she produced her Concerto for String Orchestra. Jerzy Fitelberg died soon after in 1951. In 1952 she studied composition under Erich Itor Kahn and composed Piano Piece. Yet, here again, her instruction was cut short after he failed to recover from a serious accident in Paris. The ensuing conservative instruction under Vittorio Giannini at the Manhattan School of Music she later looked back on as a waste of time. Ursula Mamlok graduated with a Bachelor of Arts Degree in 1957 with the composition of her Woodwind Quintet – another personal high point for her, with her Master’s degree awarded with her Scherzo and Finale for orchestra. During this phase she remained influenced by the composition styles of Paul Hindemith and Béla Bartók, even though elements of her own developing style were already audible in her works. From autumn 1960 to January 1961 she studied composition with Stefan Wolpe (1902 – 1972), who likewise hailed from Berlin and was of Jewish heritage, and had immigrated to New York via Palestine. Two works for solo flute – Arabesque and Variations embody elements of the style she would further perfect in subsequent years and would render her own. Yet not until later in 1961 when she transferred to Wolpe’s pupil Ralph Shapey did her odyssey reach its homecoming. He was endowed with the requisite sensitivity to afford Ursula Mamlok the latitude to develop her creativity and to combine this with new compositional techniques. Under Ralph Shapey she wrote Designs for violin and piano in 1962 and the highly complex String Quartet No. 1 in which she incorporates difficult, contrasting rhythms. Ralph Shapey advocated for Ursula Mamlok and secured her first major performances. Thus her works were now performed at major US concerts and festivals by well-known ensembles such as Continuum, Da Capo Chamber Players, Music in our Time, Speculum Musicae, and The Group for Contemporary Music. Over time, Ursula Mamlok reshaped her musical influences to her own conception. She herself refers to her Sextet from 1977 for flute, clarinet, bass clarinet, violin, double bass and piano as one of her most important pieces. A very special place in this composer’s oeuvre is accorded to Der Andreasgarten (1987) for mezzo-soprano, flute and harp, a work written in collaboration with her husband Dwight Mamlok who wrote the lyrics for this piece. Ursula Mamlok’s compositions thrive on contrasts and an intentional focus on dramatic development is particularly evident in her principal work Constellations (1991) for full orchestra, a piece commissioned by the San Francisco Symphony and premiered by conductor Herbert Blomstedt. In her chamber music pieces too she always managed to evoke new moods through her use of Klangfarbe – acoustic color in the most unconventional ensembles. Despite their depth and dramatic richness, the structure of her compositions has always maintained a certain delicateness as exemplified by her virtuosic 2000 Notes for piano. 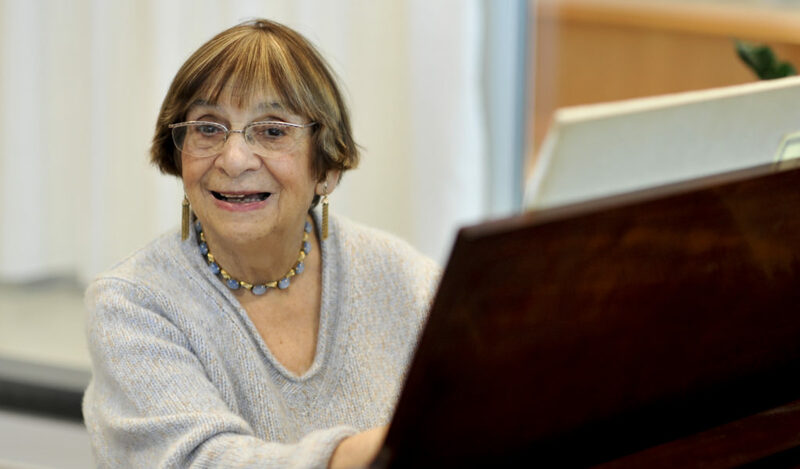 Ursula Mamlok taught theory and composition at New York University, Temple University and for 45 years at the Manhattan School of Music in New York. 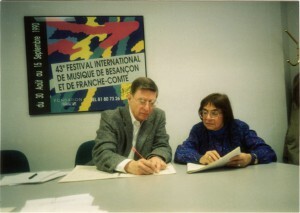 One of her best-known former students is the composer and conductor Tania León. Ursula Mamlok’s husband, Dwight Mamlok, passed away in 2005. The following year, 2006, she decided to move back to her native home town of Berlin. There, she worked in close collaboration with Bettina Brand. This noted radio journalist and musicologist sparked new enthusiasm for her work, captivating a wealth of musicians not only in Berlin, but throughout Germany and across Europe. This allowed Ursula Mamlok, now senior in years, to embark on and enjoy a new successful phase of her career as witnessed by a plethora of concerts, CD, radio and television productions. Her biography Time in Flux – The Composer Ursula Mamlok, written by Habakuk Traber (Böhlau-Verlag) was published in 2012. The composer attended the premiere of the film documentary Ursula Mamlok Movements by Anne Berrini at the Hackesche Höfe Kino (cinema) in Berlin. 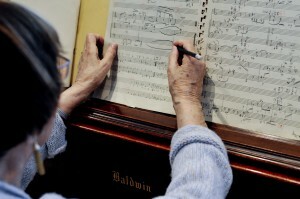 Despite being advanced in years Ursula Mamlok continued to compose. During her last decade in Berlin she produced ten compositions for various chamber music ensembles commissioned by renowned musicians such as Holger Groschopp, Heinz Holliger, Kolja Lessing, Jakob Spahn, Cheryl Seltzer and Joel Sachs, and Spectrum Concerts Berlin. The very last concert she attended in Villingen- Schwenningen, Germany on April 8, 2016 she considered a highlight, with a new version of 2000 Notes for marimba, xylophone and glockenspiel arranged by Yu Fujiwara. Ursula Mamlok died a few weeks later on May 4, 2016. She was buried in the Jewish Cemetery in the Weissensee district of Berlin, alongside the grave of her birth father. During her lifetime, she had not only stipulated in her will that the Dwight und Ursula Mamlok- Stiftung (Dwight and Ursula Mamlok Foundation) was to be created, she had also determined the Foundation’s Charter. And she had, in addition, selected those to be appointed board directors and to the management team. The Foundation launch was celebrated in Berlin with an event hosted in the plenary rooms of the Akademie der Künst (Academy of Arts) in Pariser Platz on February 3, 2017. Ursula Mamlok’s oeuvre encompasses orchestral compositions, choral works, vocal compositions, works for varied instrumental combinations for chamber orchestras and solo pieces. Most of her compositions are published by Edition C. F. Peters and Boosey & Hawkes. Ursula Mamlok (*1923, † 4. 5. 2016). Aufgrund ihrer jüdischen Abstammung von den Nationalsozialisten verfolgt, verließ sie gemeinsam mit ihren Eltern Berlin und flüchtete 1939 nach Ecuador. 1940 bekam sie ein Stipendium an der Mannes School of Music und ging als Siebzehnjährige allein nach New York. Sie studierte in den folgenden Jahren Komposition und wurde zu einer der bedeutendsten Komponistinnen der USA. 2006 kam Ursula Mamlok wieder in ihre Geburtsstadt Berlin. Es gelang ihr mit 83 Jahren noch einmal ein Neustart mit zahlreichen Konzerten europaweit, CD-, Rundfunk- und Fernsehproduktionen, der Veröffentlichung ihrer Biographie „Time in Flux – Die Komponistin Ursula Mamlok“ und des Dokumentarfilms „Ursula Mamlok Movements“. Ursula Mamlok, geborene Meyer (* 1. 2. 1923 in Berlin, † 4. 5. 2016), verlor ihren leiblichen Vater bereits im Oktober 1924 als sie noch keine zwei Jahre alt war. 1929 heiratete die Mutter Thea, geb. Goldberg, wieder und Ursula bekam den Nachnamen des Stiefvaters Hans Lewy. Sie besuchte zunächst eine Grundschule in der Charlottenburger Pestalozzistraße, dann das Fürstin-Bismarck-Lyzeum (heute Sophie-Charlotte-Oberschule). Bereits in jungen Jahren bekam sie Klavierstunden. Ab dem 12. Lebensjahr erhielt sie sowohl Klavier- als auch Kompositionsunterricht bei dem Dirigenten, Pianisten, Komponisten und Musikwissenschaftler Gustav Ernest (* 5.7.1858 in Kwidzyn [Marienwerder], † 28. 11. 1941 in Amsterdam), den sie Zeit ihres Lebens verehrte. Nachdem im April 1938 die jüdischen Kinder von den Nationalsozialisten gezwungen wurden, das Fürstin-Bismarck-Lyzeum zu verlassen, musste Ursula Lewy eine Berufsschule besuchen, in der sie vor allem Betten machen und Bügeln lernen sollte. Nach wenigen Wochen wurde ihr auch hier die Teilnahme am Unterricht untersagt, in diesem Fall für die angehende Komponistin eine Erlösung. Sie konnte sich nun ganz ihrer Musik widmen und sich aufs Klavierspielen und Komponieren konzentrieren. Nach der Reichspogromnacht entschieden sich Ursula Lewys Eltern zur Auswanderung – schon fast zu spät. Durch Zufall meldete sich ein Verwandter aus Ecuador. Mit seiner Bürgschaft konnte die Familie im Februar 1939 Berlin verlassen und nach Guayaquil in Ecuador fliehen. Für die Großeltern gab es kein Affidavit. Sie überlebten den Holocaust nicht. Da die Nationalsozialisten Juden Medikamente verweigerten, starb der Großvater Emanuel Goldberg Anfang der 1940er Jahre aus Mangel an Insulin. Alle drei Großmütter sind laut „Holocaust Survivors and Victims Database“ wahrscheinlich an Entkräftung gestorben: Fanny Meyer, die Mutter des leiblichen Vaters, in Theresienstadt am 14. 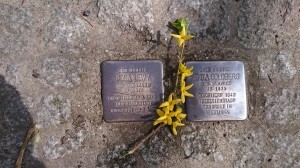 Juli 1942, Erika Goldberg 1942 in Treblinka und Rosa Lewy am 20. Februar 1943 in Theresienstadt. Zum Gedenken ließ Bettina Brand vor der Sebastianstraße 73 gegenüber der letzten Berliner Wohnung der Großmütter Rosa Lewy und Erika Goldberg Stolpersteine verlegen. Nach dreißigtägiger Schiffsfahrt kamen die Lewys in Guayaquil an, kein kulturelles Dorado für die angehende Komponistin. Sie nahm so schnell wie möglich ihre Studien am dortigen Konservatorium bei Angelo Negri auf. Den Unterricht bezeichnete sie allerdings als unzureichend. Über den langwierigen Postweg hielt sie so lange wie möglich den Kontakt zu ihrem Lehrer Gustav Ernest, der am 31. August 1939 in die Niederlande emigrierte. Er starb am 28. 11. 1941 in Amsterdam. Im Sommer 1940 gelang es Ursula Lewy ein Stipendium für die Mannes School of Music in New York zu bekommen. Durch Zufall wurde ihr eine Schiffspassage und das unentbehrliche Affidavit für die USA angeboten. Es gab allerdings nur für eine Person die erforderlichen Papiere, so dass sie – erst 17 Jahre alt – allein reisen musste – ohne die Eltern, ohne Sprache und ohne Geld. Hans und Thea Lewy kamen erst im März 1941 nach. An der Mannes School Of Music war ihr Kompositionslehrer der Dirigent George Szell. Er war seiner Schülerin sehr gewogen, doch sein Unterricht war äußerst konservativ. Ursula Lewy wollte aus dem Korsett klassischer Tradition ausbrechen und bewarb sich im Sommer 1944 für ein dreimonatiges Stipendium am Black Mountain College in North Carolina. Sie wurde angenommen und kam erstmals in Kontakt mit den Werken Arnold Schönbergs und der Wiener Schule. Sie besuchte u. a. eine Meisterklasse bei Ernst Krenek und studierte in der Folge intensiv dessen Schrift “Zwölfton – Kontrapunkt – Studien“, ihre erste detaillierte Auseinandersetzung mit der Dodekaphonie. Auch lernte sie hier Eduard Steuermann kennen, bei dem sie im folgenden Herbst ca. zwei Jahre Klavierunterricht nahm. Im August 1947 lernte Ursula Lewy ihren zukünftigen Mann in San Francisco kennen. Dwight (Dieter) Mamlok, gebürtiger Hamburger und über Schweden in die USA emigriert, war Kaufmann und Autor von zahlreichen Gedichten und Novellen. Drei Monate später heirateten sie bereits. Bis März 1949 lebten sie gemeinsam in San Francisco und zogen vor allem auf Wunsch von Ursula Mamlok nach New York. Sie hatte im Alter von 26 Jahren keine Schulabschlüsse, keinen akademischen Grad und somit keine Aussicht auf eine Stelle. Und sie fühlte sich nicht als fertige Komponistin. Bereits im Black Mountain College hatte sie 1944 den amerikanischen Komponisten Roger Sessions kennen gelernt. Er erschien ihr als der ideale Lehrer und sie nahm bei ihm Privatunterricht. Doch bereits 1945 erhielt Roger Sessions einen Ruf an die Universität von Berkeley, so dass sie das Studium bei ihm nach wenigen Monaten abbrechen musste. Sie blieb längere Zeit ohne Lehrer bis sie 1950 auf Empfehlung zu Jerzy Fitelberg ging. Während der wenige Monate andauernden Studienzeit bei ihm entstand ihr Concerto for String Orchestra. Jerzy Fitelberg starb bereits im April 1951. 1952 nahm sie Kompositionsunterricht bei Erich Itor Kahn und komponierte Piano Piece. Doch auch bei ihm brach der Unterricht jäh ab, als er sich von einem schweren Verkehrsunfall in Paris nicht mehr erholte. Den folgenden konservativen Kompositionsunterricht bei Vittorio Giannini an der Manhattan School Of Music betrachtete Ursula Mamlok rückblickend als Zeitverschwendung. Ihren Bachelor bestand sie 1957 mit der Komposition ihres Woodwind Quintet, das sie Zeit ihres Lebens hoch schätzte, der Master of Music wurde ihr für ein Scherzo und Finale für Orchester verliehen. In dieser Phase ist sie noch vom Stil Paul Hindemiths und Béla Bartóks beeinflusst, auch wenn sie hörbar ihre eigenen kompositorischen Wege beschreitet. Von Herbst 1960 bis Januar 1961 ging sie zum Kompositionsunterricht zu Stefan Wolpe (1902 – 1972), ebenfalls gebürtiger Berliner jüdischer Herkunft, der über Palästina nach New York emigrierte. Ihre Variationen für Flöte solo weisen auf den einen Stil hin, den sie in den folgenden Jahren weiter vervollkommnen und zu ihrem eigenen entwickeln wird. Doch erst als sie ebenfalls im Jahr 1961 zu Wolpes Schüler Ralph Shapey wechselte, fand ihre Odyssee ein Ende. Er hatte das nötige Einfühlungsvermögen, das Ursula Mamlok den Freiraum gab, ihre Kreativität zu entfalten und mit neuen Kompositionstechniken zu verbinden. Bei Ralph Shapey entstanden 1962 Designs für Violine und Klavier und das hochkomplexe Streichquartett No.1, in dem sie mit diffizilen, gegeneinandergesetzten Rhythmen arbeitet. Ralph Shapey setzte sich sehr für Ursula Mamlok ein und verschaffte ihr erste wichtige Aufführungen. In der Folge wurden ihre Werke durch bekannte Ensembles wie “Group Of Contemporary Music”, “Continuum”, “Speculum”, “Music In Our Time” oder “Da Capo” bei wichtigen Konzerten und Festivals in den USA zur Aufführung gebracht. Im Lauf der Jahre modifizierte Ursula Mamlok ihr Ausgangsmaterial nach eigenen Mustern. Sie selbst nannte ihr Sextett von 1977 für Flöte, Klarinette, Bassklarinette, Violine, Kontrabass und Klavier eines ihrer wichtigsten Werke. Eine besondere Stellung im Oeuvre der Komponistin nimmt Der Andreasgarten (1987) für Sopran, Flöte und Harfe ein, ein Gemeinschaftswerk mit ihrem Mann Dwight Mamlok, der die Gedichte dazu schrieb. Ursula Mamloks Kompositionen leben von Kontrasten und einem bewusst gestalteten dramatischen Aufbau besonders gut hörbar in ihrem Hauptwerk Constellations (1991) für großes Orchester, ein Auftragswerk der San Francisco Symphony, uraufgeführt unter der Leitung von Herbert Blomstedt. Auch in den kammermusikalischen Werken gelingt es ihr, im Spiel mit Klangfarben für die unterschiedlichsten Besetzungen immer wieder neue Atmosphären zu schaffen. Dabei bleibt die Struktur ihrer Kompositionen trotz der spannungsreichen Dichte filigran wie z. B. in ihrem 2000 Notes für Klavier, das in seiner Transparenz brilliert. Ursula Mamlok unterrichtete Theorie und Komposition an der New York University, der Temple University und 45 Jahre an der Manhattan School of Music in New York. Eine ihrer bekanntesten Schülerinnen ist die Komponistin und Dirigentin Tania León. 2005 starb ihr Mann Dwight Mamlok. 2006 entschied sich Ursula Mamlok wieder in ihre Geburtsstadt zu ziehen. In enger Zusammenarbeit mit der Rundfunkjournalistin und Musikwissenschaftlerin Bettina Brand gelang es, zahlreiche Musikerinnen und Musiker in Berlin, in Deutschland und europaweit für ihre Musik zu begeistern, so dass sie in hohem Alter einen erfolgreichen Neustart mit vielen Konzerten, CD-, Rundfunk- und Fernsehproduktionen genießen konnte. 2012 erschien ihre Biographie Time in Flux – Die Komponistin Ursula Mamlok von Habakuk Traber im Böhlau-Verlag. 2013 erlebte die Komponistin die Premiere des Dokumentarfilms Ursula Mamlok Movements von Anne Berrini im Hackesche Höfe Kino in Berlin. Trotz ihres hohen Alters komponierte Ursula Mamlok weiter. In der letzten Berliner Dekade entstanden insgesamt zehn Kompositionen für verschiedene kammermusikalische Besetzungen auf Anfrage so renommierter Musiker wie Heinz Holliger, Kolja Lessing, Holger Groschopp, Jakob Spahn oder Spectrum Concerts Berlin. Das letzte Konzert in Villingen-Schwenningen am 8. April 2016 mit einer Bearbeitung von 2000 Notes für Marimba, Vibraphon, Xylophon und Glockenspiel von Yu Fujiwara war für sie ein Highlight. Wenige Wochen später starb Ursula Mamlok am 4. Mai 2016. Sie wurde auf dem jüdischen Friedhof Berlin-Weißensee neben dem Grab ihres leiblichen Vaters beigesetzt. Noch zu Lebzeiten hatte sie nicht nur die Gründung der Dwight und Ursula Mamlok-Stiftung testamentarisch verfügt sondern auch die Satzung sowie die Besetzung des Vorstandes und der Geschäftsführung. Am 3. Februar 2017 fand im Plenarsaal der Akademie der Künste am Pariser Platz in Berlin die feierliche Auftaktveranstaltung statt. Ursula Mamloks Werkverzeichnis umfasst Kompositionen für Orchester, Chor, Vokalkompositionen, Werke für unterschiedlichste Kammermusikbesetzungen und Solostücke. Ihre Kompositionen sind sowohl bei Edition C. F. Peters und als auch bei Boosey & Hawkes verlegt.